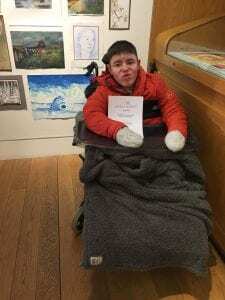 A big congratulations to Shaun Shirkie from Saltersgate School for being awarded ‘Highly Commended’ in the RSA Schools Art Award 2019. 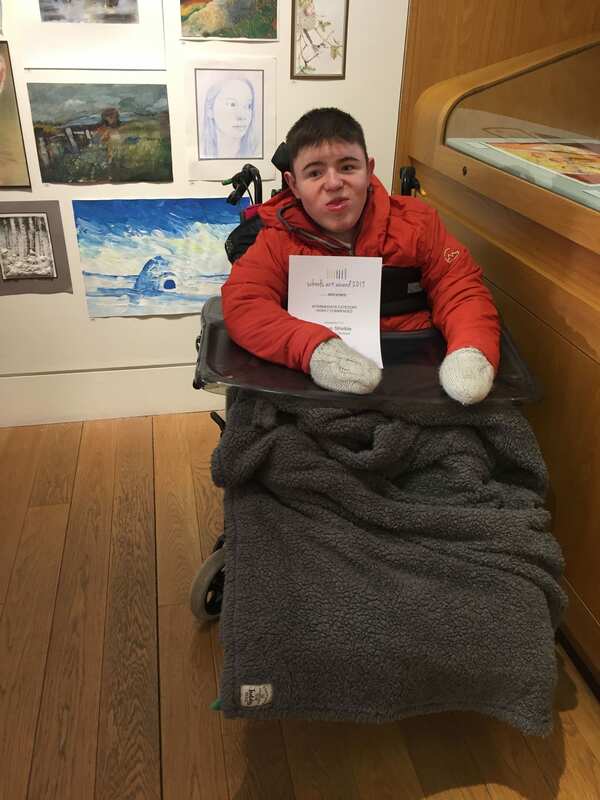 Shaun and his family, his art teacher Amy Collop, and Head Teacher Stephen Buggy all attended a Private opening at the Royal Scottish Academy on Thursday 8th March and had a great evening! Shaun’s created an expressive painting of an igloo for the competition as he loves the snow and would like to build an igloo. Organised by the RSA Friends, the schools Art Award is a competition open to all secondary schools in Scotland which aims to encourage creativity and showcase talent. It has been running since 1986 and is considered by teachers to be one of the most prestigious awards made to pupils. The Award has no theme. The emphasis is on skills of technique, observation and interpretation. In particular, the judges will award prizes for work which displays creativity and originality.